I’ll be honest. It’s been years since I’ve been able to find a way to regularly read the Bible that sticks and works for me. To be frank, readings plans usually don’t work for me because I get bored. Depending on the plan, you’re either stuck in the same book for long stretches of time or you’re jumping around so much that you lose the sense of the whole. 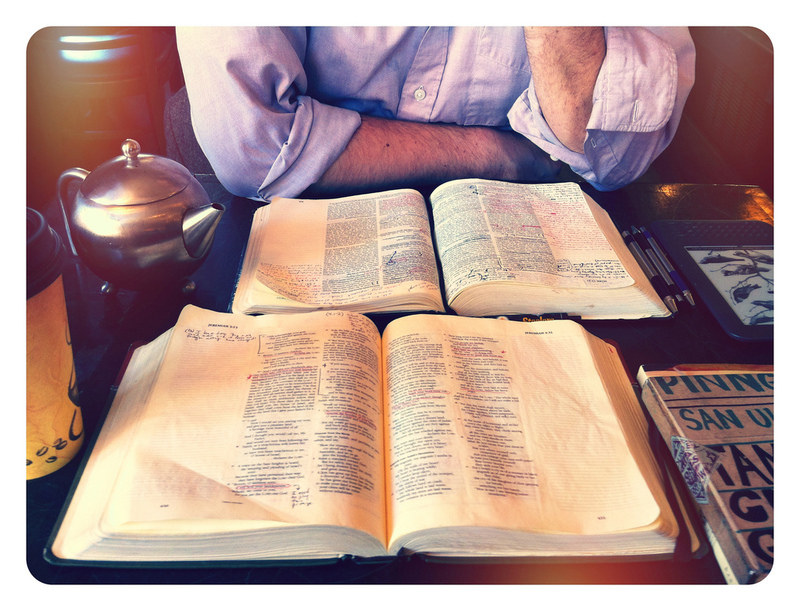 This year, I think I’ve started a regimen that is clicking: the M’Cheyne Bible reading plan. At any given time, I’m going through four completely different part of Scripture and for me, this is keeping me really engaged. As I’ve gone on through the plan these past couple of months, I started highlighting and writing up little notes on random verses here and there. Lots of them. And I’d like to share them with you. So today, I’m introducing a new little part of this blog called Marginalia, where I’ll be posting these short little meditations on Scripture as I go through this plan. These little posts aren’t very long at all. They’re just snippets of thought, anywhere from a sentence fragment to a couple of paragraphs. They may be little questions, comments, insights, connections, or just a “what the heck?”. I’d like help and insights into my questions; to feel some solidarity with others that are also confused, saddened, or angered by some parts of the text; and maybe, along the way, to encourage other fellow sojourners. Marginalia is the term used to describe the little thoughts, meditations, and questions left by ancient scribes in the margins of manuscripts (some of them are pretty funny). Similarly, I see my thoughts as mere scribblings in the corner of the page, not meant to pull away from the power of the text, but to spectate on it honestly. But there’s some practical stuff that goes along with this. I’d like to post between 1 to 3 of thee posts daily. I know, that’s a lot. To not clutter up people’s feeds, I won’t be putting links to these on Facebook. If you want to keep up with these, you can subscribe to the Marginalia section, or just follow me on Twitter or Tumblr. Or subscribe to the full blog. I know this is a little nerdy, but you can also write out your own Marginalia on Twitter and other social media sites and use the hashtag #Marginalia to keep our collective thoughts connected. If you want to check out the reading plan for yourself, here is a great calendar with links to the most comprehensive Bible site out there, Bible Gateway. If you want less work and like the ESV translation, they have this as well.